Many of us dream of having flawless skin well into our advanced years. We want the telltale wrinkles and fine lines that appear on our faces with the passing decades to disappear, and for our skin to take on the smooth supple sheen of youth again. According to the manufacturer, Ave Creme is the miracle product that can achieve all of these goals for us in one small bottle. Ave Creme is an anti-aging product designed to remove wrinkles and other age lines from your face with its unique collection of ingredients. This product is also supposed to remove acne or any other age blotches from your face. The manufacturers purport that the anti wrinkle cream makes the skin tighter and firmer. In addition it protects the skin from incurring further damage due to the sun, or other environmental factors. Who is the Manufacturer of Ave Creme? The manufacturer of Ave Crème is a company called Ave Crème. This is a relatively new company which is dedicated to developing high-quality anti aging products which often use peptides as their base. The organization stands behind its products, however, until now there is no real data or research which has proven the quality of their products. How Does Ave Creme Work? The primary ingredients in Ave Crème are the peptides, likely removed from human stem cells. These peptides accelerate processes in the body whereby collagen, elastin and hyaluronic acid are produced. All of these substances are known anti-aging agents. Collagen and elastin make the skin firmer, and hyaluronic acid is an excellent substance for keeping the skin moisturized and for preventing it from drying out. Ave Crème’s Ingredients – Are they Safe & Effective? The primary active ingredients in Ave Crème are the peptides. They initiate the production of the anti-aging substances collagen, elastin and hyaluronic acid. Peptides: Peptides are usually removed from stem cells to use as an anti-aging ingredient. These peptides cause collagen, elastin and hyaluronic acid to be produced. All of these substances are essential in repairing damaged cells and restoring the skin. Eucalyptus: This oil extracted from the eucalyptus tree is antibacterial, anti-inflammatory and anti-infectious. It has the ability to rid the skin of acne and other blemishes. Collagen: Has the ability to increase the firmness of the skin and may decrease the number of wrinkles on the face. Elastin: Makes the skin more elastic, and also tighter and firmer. Hyaluronic Acid: Produced naturally by the body, it is a great skin moisturizer and it stops the skin from getting overly dry. Over time, less is produced and it must be replaced by using products like Ave Crème. What are the Advantages of Ave Creme? What are the Disadvantages of Ave Creme? How Should You Use Ave Creme? You can use the cream twice a day, after you have carried out your facial cleansing ritual. The manufacturer recommends using it after you shower, and before you go to sleep. Spread the cream evenly all over your face and neck and let it dry. How Much Does Ave Creme Cost? The official website for this product does not list any price at all for the product. A search of the Internet reveals that it’s difficult to find a place to purchase the product at all, and even more difficult to find a price listed. What is Ave Creme Return Policy? There is no return policy evident on the official product website. If you purchase the cream on another website, there may be a return policy offered there. However, the specific details of the policy as well as the number of days will vary. 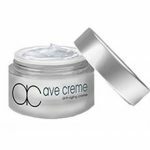 Does Ave Creme Offer a Free Trial? There are no real details about a free trial for this product anywhere on the website. However, if you click on the link of official site that is supposed to send you to a free trial, you are actually redirected to another website selling a different cream. The manufacturer makes some big claims about this product. It is purported to reverse the signs of aging in your face, tighten and hydrate your skin and remove wrinkles, blemishes and other visible fine lines. However, these claims are not backed up by any research. There is also very little basic information provided about the product, including price, ingredients and company policies. There aren’t a lot of customer reviews or feedback, but most of it was fairly positive. Customers were largely quite happy with the effect of the cream on their skin. Many users confirmed the anti-wrinkle and hydrating properties of the product. Due to the fact that the information about the product and its ingredients are not completely clear or complete, it’s important to test out the cream on a small patch of skin before using it on your entire face and neck. You may also want to consider viewing and researching similar best wrinkle cream which are more transparent with their product information.